Full payment due 2 weeks prior to arrival date. Cancellation 1 week prior. With the neighbouring Arena and Conference Centre also nearby, CityLivein London Wembley is the perfect choice for all types of guests - leisure or business. We have 24 Hour Reception and of course free Wifi. On-site Laundry (charges apply). 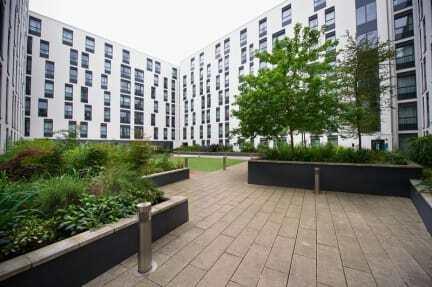 CityLiveIn London Wembley is superbly located in the heart of Wembley and within easy walking distance from Wembley Stadium, host to many major concert and sporting occasions. Look next door and you’ll find the London Designer Outlet offering a wide range of shops and restaurants as well as a local cinema. Plus we are every bit as convenient for the bright lights of central London with Wembley Park (Jubilee Line and Metropolitan Line) and Wembley Stadium Station (Railway) only 10 minutes' walk away. 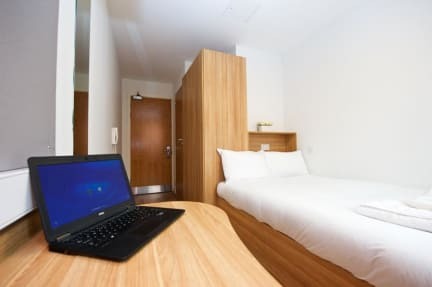 All of our guest rooms come with a double bed en-suite, private work space and freeview TV channels. If you are planning to travel with a large group, our 5 & 6 double bed multi-room types come with a communal self-catering kitchen!